Disclaimer: I did not receive free product or compensation from the company for this review. I was not asked to write a review These opinions are my own and were in no way influenced by the company. 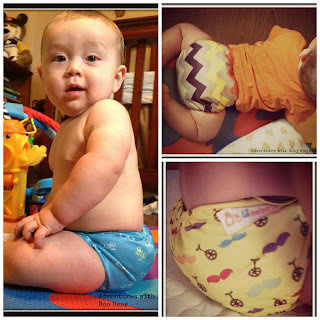 A few weeks ago I discovered Lil Helper cloth diapers...purely by fluke! 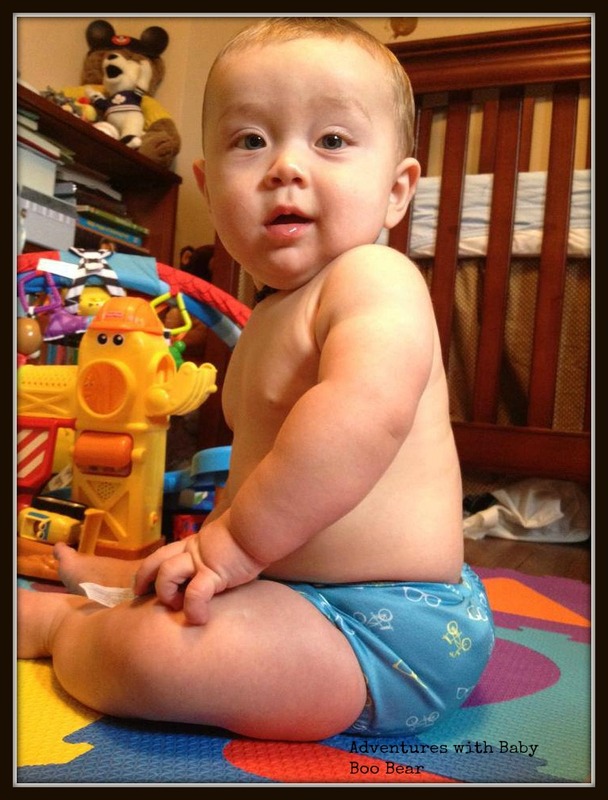 You can read all about my decisions to try out these diapers here. Moustache and Unicycle, Glasses & Bicycles and Chevron patterns....how could I resist?! Okay, but how did they hold up? Yup. That was exactly how I felt. I have had these diapers for just over two weeks now and I LOVE them. They are an AI2 (all in two) diaper. What the heck does that mean? 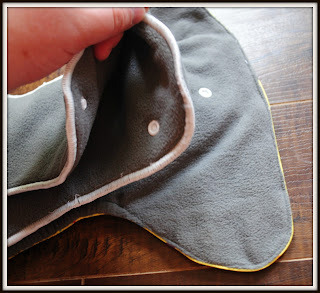 It means that as long as the inner fabric of the shell stays dry you can just pop off the inserts and keep the same cover. 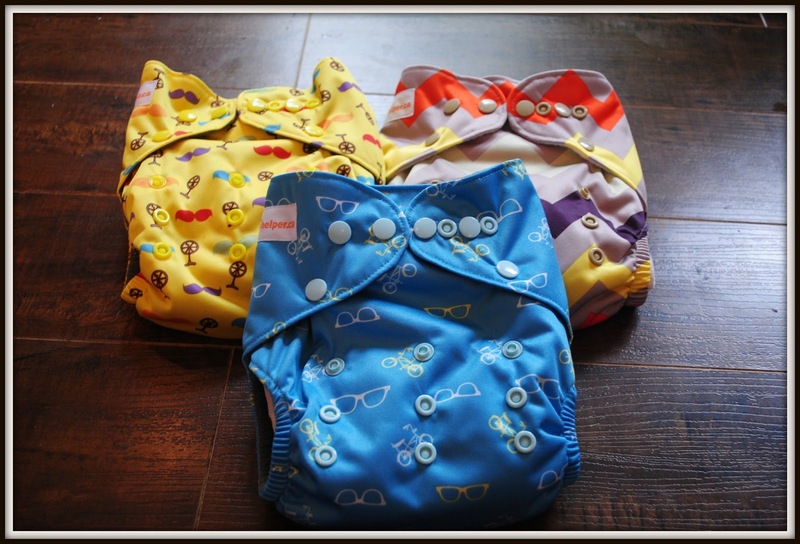 Excellent if you are out and about and need to save space in the diaper bag! Soakers just snap onto the shell - no stuffing pockets required! Each diaper comes with two liners. 1 small and 1 large. You can use them together or separately as required. Emmett is a pretty heavy wetter and we can still use the small liner (although not at nap time!). Shell without a soaker, shell with large soaker and shell with both soakers. 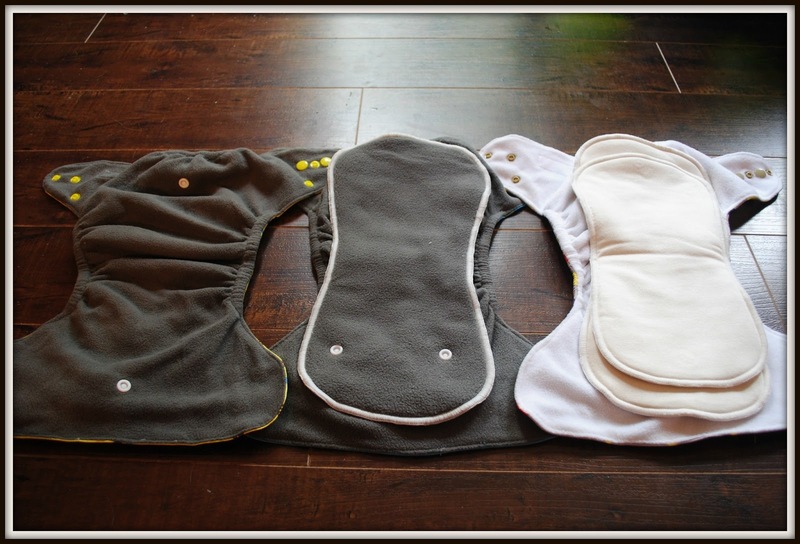 The white diaper is the organic bamboo. 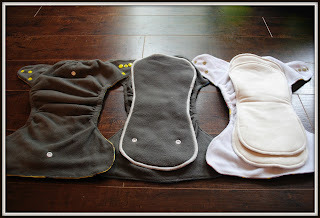 I purchased 2 Charcoal bamboo and 1 organic bamboo diapers. I love them both equally. They are super soft. I do notice that the charcoal wicks the moisture away from Emmett's skin better. You can tell there is a lot of moisture in the soaker because of the weight. I also find the shell on the charcoal stay dry longer. These diapers get a great fit! At 23 lbs and 31 inches Emmett is still on the smallest length snap and the 2nd (on each side) waist snap. So we have lots of growing space in these dipes! They also have a great lower hip snap that keeps the sides from winging (extra fabric for size adjustment moving around). Prep was super easy also! I did a lot of research on prepping charcoal bamboo. I was even prepared to write a post on it. Guess what?? Didn't need it! These diapers are pretty much ready to go! Just 1 pre wash and you are ready to go. I e-mailed back and forth with Mohammed a number of times with questions I had and promptly received a super pleasant and helpful response! I couldn't believe how fast I had these guys in my hands after purchasing! They also included 2 bamboo stay dry liners and a lovely smelling bath bomb! The great customer service is never ending! 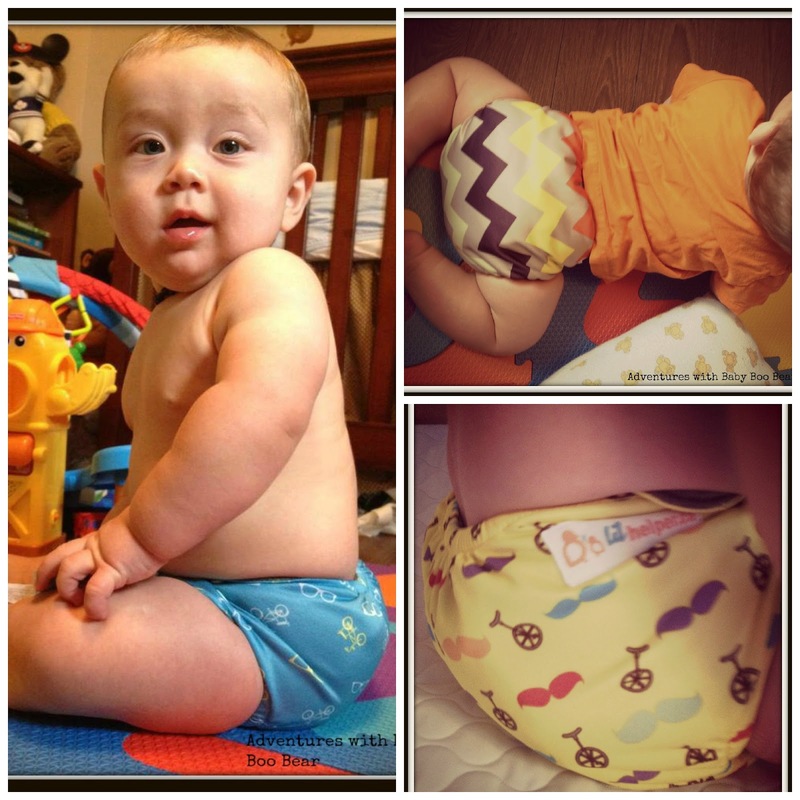 These diapers sell for just under $25 each - but you get what you pay for! You can also purchase just the liners which I imagine would work with any other shells you have and you still get the Lil Helper quality! I give both of these diapers 5 stars. The price isn't even enough to remove a half star here! They also carry change pads, pail liners, blankets and more! I can't wait to try out more of their wonderful product line! Be sure to check these guys out....even if you just need a laugh or a good read!